Secondo la vulgata, che mi avevano raccontato all’università (come, credo, la raccontino a tutti quelli che si avvicinano all’economia), Carlyle avrebbe coniato la famosa frase commentando le idee di Thomas Robert Malthus, che aveva predetto (An Essay on the Principle of Population) che la conseguenza inevitabile di una crescita esponenziale della popolazione, a fronte di una crescita lineare delle risorse alimentari, avrebbe portato alla carestia e alla morte per fame della popolazione in eccesso. Insomma, Malthus è stato il padre nobile dei profeti di sventura dei limiti dello sviluppo e dell’insostenibilità della crescita economica. 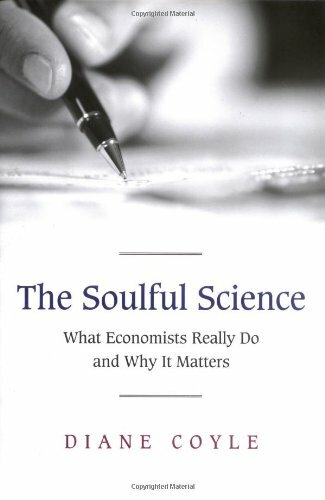 E automaticamente, criticandolo con il famoso meme della dismal science, Carlyle viene arruolato nell’esercito dei buoni, dei critici dell’economia in ragione di valori e principî superiori. Today, when we hear the term “the dismal science,” it’s typically in reference to economics’ most depressing outcomes (e.g. : on globalization killing manufacturing jobs: “well, that’s why they call it the dismal science,” etc). In other words, we’ve tended to align ourselves with Carlyle to acknowledge that an inescapable element of economics is human misery. But the right etymology turns that interpretation on its head. In fact, it aligns economics with morality, and against racism, rather than with misery, and against happiness. Carlyle couldn’t find a justification for slavery in political economic thought, and he considered this fact to be “dismal.” Students of economics should be proud: Their “science” was then (as it can be, today) a force for a more just and, crucially, less dismal world. It [An Essay on the Principle of Population] also earned economics the description “the dismal science” from historian Thomas Carlyle. Sono passati 7 anni da quando ho letto questo libro e non posso dire di averne conservato un’impressione vivida. Ma per fortuna avevo preso degli appunti e sono quindi in grado di segnalarvi tre passi in materia di economia dell’informazione, di reti e di istituzioni, rispettivamente. Looking at the availability of information, and how it shapes individual decisions, goes to the heart of whether and when markets deliver individually and socially desirable outcomes. People often have access to different information or are uncertain about its reliability – described as information asymmetries – so their decisions will be formed accordingly. Their behavior might be intended to share information, which Is known as signaling. Or the asymmetry will affect their behavior in ways which lead to a less desirable outcome, giving rise to adverse selection. Asymmetric information likewise might give people incentives to behave in undesirable ways from the perspective of the wider market or society, causing the problem of moral hazard. In addition, information is in many ways a public good. Its use by one person doesn’t use it up at all (it is nonrival or infinitely expansible), and if known by one it readily spills over to others (it is to a large extent nonappropriable). These characteristics were most elegantly and famously expressed by Thomas Jefferson: “He who receives an idea from me receives [it] without lessening [me], as he who lights his [candle] at mine receives light without darkening me.” Recall […] the importance of knowledge spillovers in growth theory – knowledge is the word used for information in that particular context, trying to understand innovation. Even if it is possible to prevent others from acquiring information, it is likely to be socially inefficient to keep it private. Furthermore, the quality of a piece of information can’t be assessed before it’s acquired, so trust and reputation are likely to matter.